We can empower you to make better decisions. 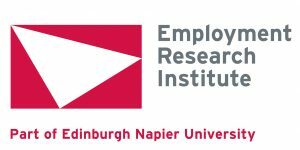 The Employment Research Institute offers you solid evidence on all aspects of employability, based on the best scientific techniques. We carry out contract and academic research into many issues concerning employment. We do it on behalf of government bodies, individuals and employers. The information we provide can empower you to make better decisions. You may want to know whether a project or policy worked well, or is still working, or how you might improve it. We can also advise on how to deal with the changing policy agenda on employment and employability and how to develop better policies for tackling unemployment issues.